Dima “ddd1ms” Smeliy, the Moscow Five founder who recently finished serving his five year sentence for assisting in credit card fraud, talked about a return to Russia and esports. 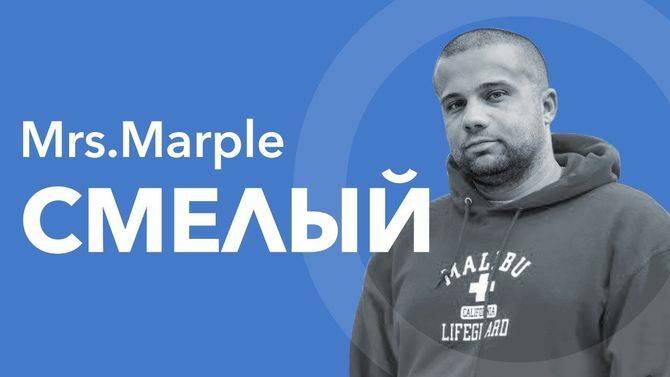 In an interview with Maria Ermolina, he shared details of his time in prison, his opinion of the current situation in Russian esports, noted the overpayment of players and teased the resurrection of M5. The flight to the US was also scary. I was in chains, surrounded by 6-7 heavily-built marshals. I asked: “Why so many? I did agree to be moved here." They said: ”We were told you’re a bodybuilder”. On arrival, I was led to the court and thrown to a 15 square meter room with about 25 men. All young, mostly African Americans. There were a few Mexicans and Latinos, and I was the only white guy. I told them my story, as soon as they realized I’m Russian they had no problems. Their main problems are with the white Americans. As soon as they heard my parents didn’t touch theirs, I was a friend. I ended up in a Federal prison, everything was clean and neat. I went into a routine: you can’t survive without physical training. A horizontal bar and concrete every day, that’s all that you have. [...] When we got bored we put little Mexicans on our shoulders and did sit-ups with them, to add weight. Five years flew by that way. There are legal obstacles. I need a written permission to even go to New York. To go to Russia I will have to apply to a judge two months in advance. Since I’m in the middle of paying out the compensation of committed damage, I suspect it will be the reason for denial. So I haven’t tried yet, still here for now. I really liked the way this young team played, how they smashed even Virtus.pro at one point. I wrote to Anton "sneg1" Cherepennikov [VP CEO]: “If only I had time to sign them, Moscow Five would’ve finally beat Virtus.pro”. They could’ve been M5, but I wasn’t ready to take them because the investor wasn’t ready to give the money they asked. It wasn’t about a monthly salary, you have to plan two, three, five years ahead. Esports in Russia is blown out. The players earn the lion's share of sponsorship money, what the organizations are left with? I’ve talked to a lot of team owners. The situation is changing with difficulty. Everything has to be fair and even, things won’t work out otherwise. You shouldn’t take away their salary, the sponsorship deals must be bigger. But where do you get those? The Russian market is dry. Maybe it’s not a coincidence that I’m here, in the US. Maybe I’m here to open their money flow to esports. I kept good relationships with everyone. There were some cold shoulders, but not from the players. I recently met Alex Ich, my best League of Legends player. It was nice to see him grow. I’m proud of Dosia. He didn’t quit and is now playing and earning good money. I received 150-200 proper offers from [people], 3-4 proper sponsor offers, plus from a whole lot of people that just want to work in the project. I was surprised. It didn’t work out with the timing a little bit, I’m stuck here for a bit. We will definitely — slowly but steadily — return. Maksim “Nirvana_sf” Zalilov [current Moscow Five CEO] is still in the project and he will be one of the few loyal friends that will stay and help to rebuild. If you're a Russian speaker, make sure to check out the full, 43-minute interview to hear Smeliy discuss even more topics, such as patriotism and Alisher Usmanov, the billionaire who made a $100 billion investment into esports.